When a customer brings you a color that you have to match, you compare to the color chips in the Color Guide. 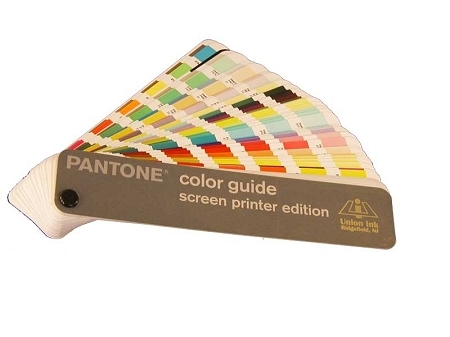 When you find the matching color you will know the PMS (Pantone Matching System) number. Then you can look up the recipe for mixing colors to develop a matching color. The recipe will vary according to which PMS color matching series of inks being used. If a customer asks for a color match, always be sure to request a sample of the color from the customer, because there are different PMS systems for screen printing, the fashion industry, etc. Also, the PMS number the customer provides likely will not match the sample. Then the question will be which color does the customer want rather than you taking that risk.